Latest research from Thinkbox dubs YouTube 'UseTube'. Despite the explosion in ways to consume content, live television accounts for 56% of all the video the UK views each day and is more likely than on-demand programming to satisfy the eight needs identified by consumer research, such as unwinding and distraction. Live TV satisfies more of viewers' needs than watching video-on-demand from providers such as Netflix and YouTube, according to the latest research from Thinkbox. While the average viewer watches almost five hours of TV and other video each day, the most popular need being satisfied is to unwind, taking up 26% of viewing time, followed by distraction (18%) and comfort (16%). Just 2% of total viewing time is taken up by watching video that provides practical, useful information. The Age of Television was conducted by research and strategy consultancy MTM, commissioned by Thinkbox, with findings based on the habits of more than 6,000 people. Matt Hill, research and planning director at Thinkbox, said: "This research explains why different forms of video co-exist and why TV broadcasters’ live and on-demand offerings continue to make up the vast majority of video viewing time. "It also shows how services like Netflix have emerged to superserve some of our needs when we watch TV, but that they can’t reach all the places TV can – especially the more social and shared reasons to watch, which are so important to people. And it shows how YouTube is often 'UseTube', with a distinct role for practical help." 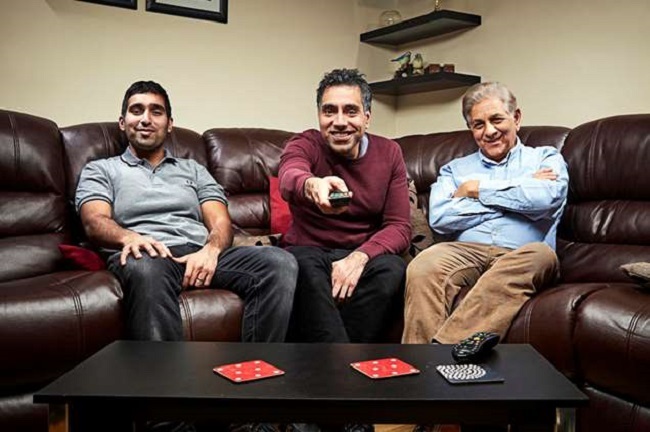 Broadcaster catch-up TV such as Sky+ and on-demand services including All 4, BBC iPlayer, ITV Hub, Sky Go and UKTV Play account for 15% of the average person’s video consumption at 41 minutes a day. Subscription VOD services such as Amazon Prime Video and Netflix account for 6.4% of viewing, or 18 minutes a day, while online video platforms such as YouTube and Facebook account for 18% of all video viewing at 51 minutes a day. The study found that where catch-up and on-demand TV plays an important role is in helping people to lose themselves in another world and immerse in highly involving shows, meeting the need to escape. This is especially the case for younger viewers, where catch-up and on-demand viewing is more important than live TV for satisfying the need to escape, accounting for 42% of viewing for 16- to 34-year-olds in this need state compared with live TV’s 24%. Meanwhile, the study found that online video excels in distraction viewing, especially for younger people. Online video accounts for 30% of all viewing to meet the distraction need but 40% for 16- to 34-year-olds – largely due to the often mobile nature of use and prevalence of short-form content. Online video accounts for 56% of all practical help viewing, compared with 31% for live TV and 10% for catch-up or on-demand. James Bryson, managing partner at MTM, said: "Our research provides a comprehensive understanding of the needs that influence viewer choices across all forms of video. It’s demonstrated the enduring and distinct value of TV for audiences, alongside newer video platforms."